Monday night we had an interesting mix of speakers. 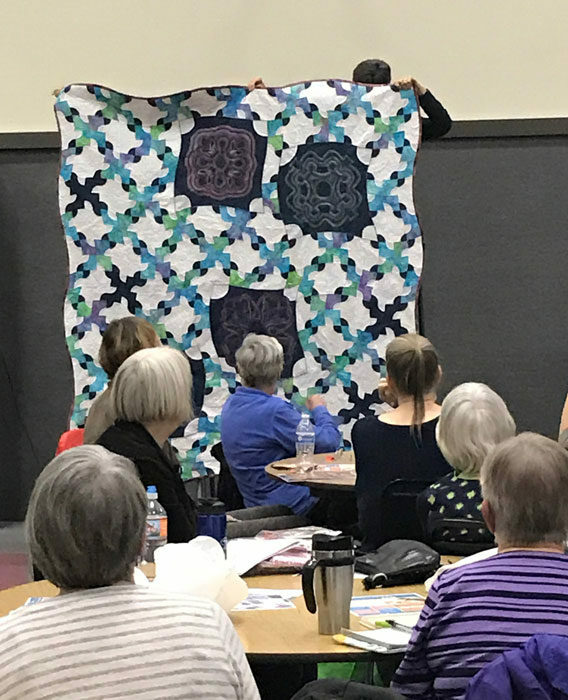 The new owner of Montavilla Sewing Center in Lake Oswego came to our meeting to talk about their latest shop, which formerly was The Pine Needle. Generally, Montavilla’s stores sell machines and offer classes associated with their machines. This store is adding fabric to their line of products. Next Kristin LaFlamme, who works at the store, presented some of her work. This first piece is Kristin’s self-portrait done in pixels. 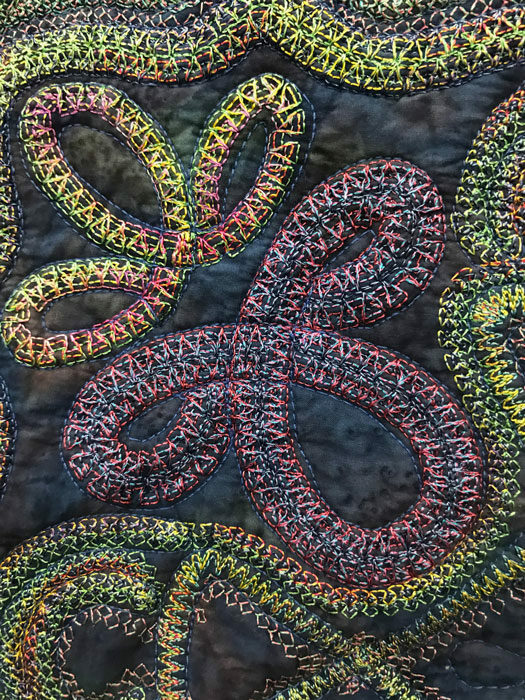 Kristin is an art quilter who incorporates traditional elements. 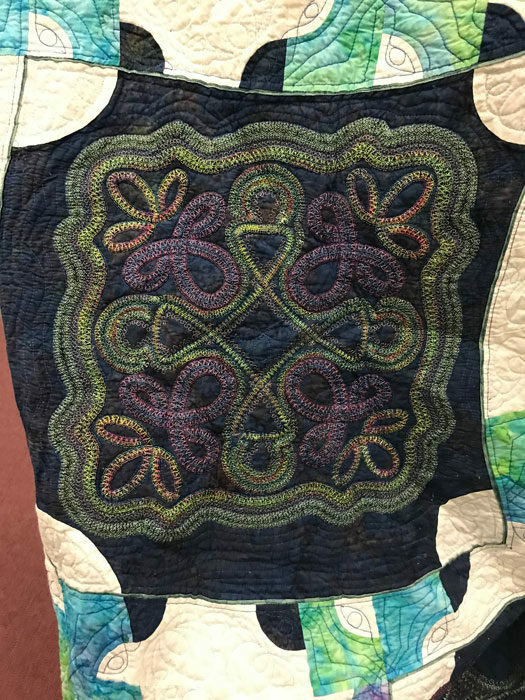 Here is Kristin’s interpretation of an updated medallion quilt. This is one of my favorite quilts Kristin has made. I love the cat’s expression and the setting. 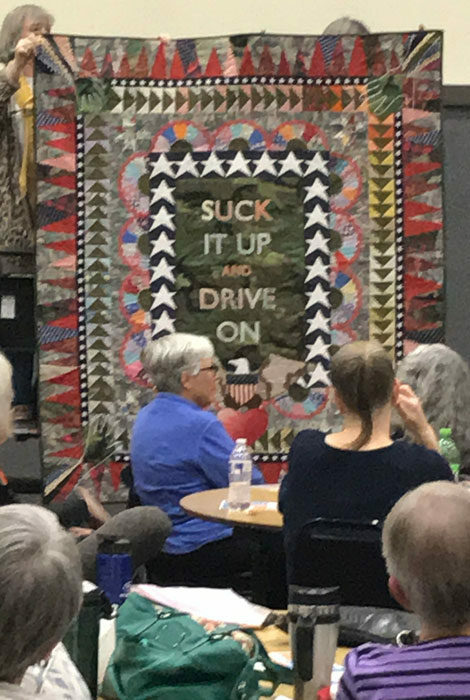 The quilt won a national award, and I can see why. Last meeting I presented on Zigzag Pizzazz. 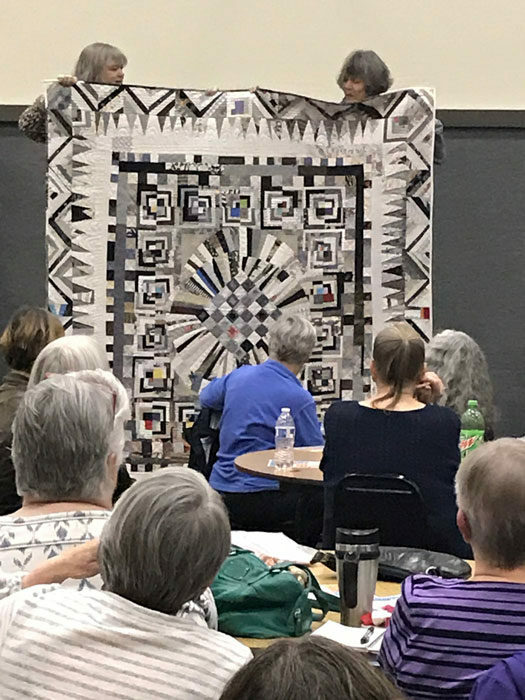 One of our members, Tony, told me about a quilt he did using a double needle and thought it might fit into my techniques. 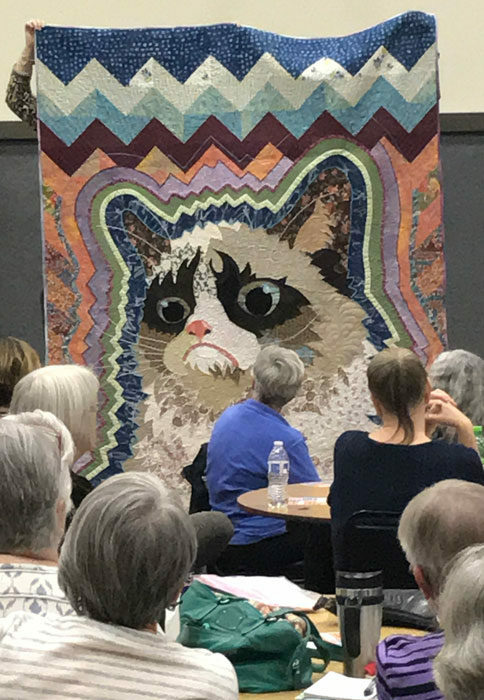 Here is the full-size quilt. Here’s the stitched block. Note the use of variegated thread. Finally, here’s a close-up of the stitching. Love the texture.